Okay I have to admit that I lost a few days in the month of April (more on that here) but I finally got myself to my computer and remembered to send the card on the 18th of April. Having said that, Their Royal Highnesses have done it again. 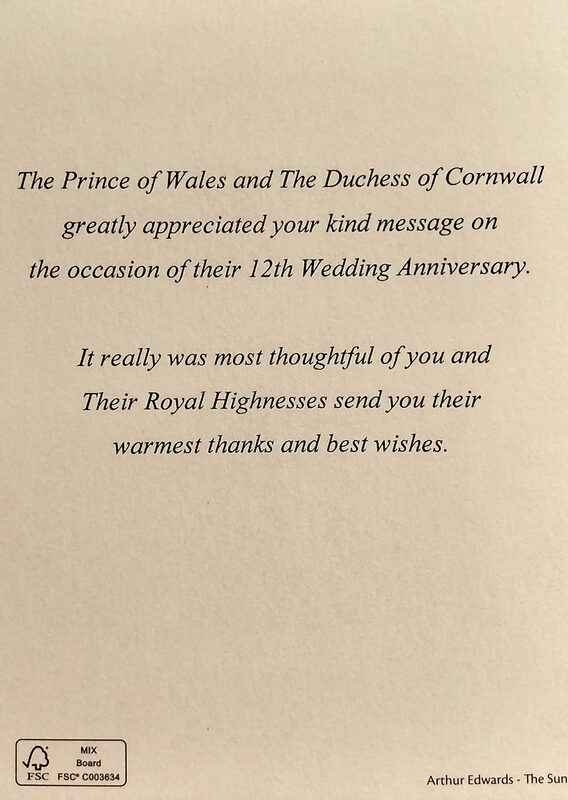 The reply from the royal couple came today, 26th April 2017. 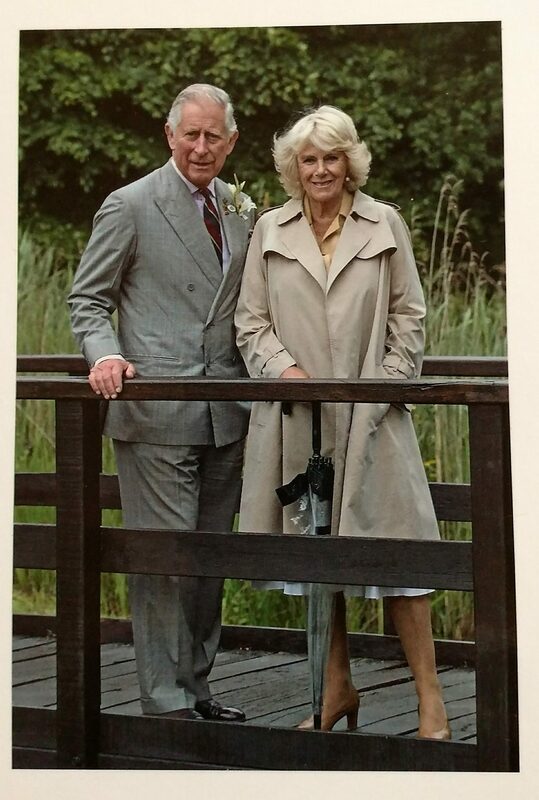 The reply card features a lovely picture of the couple by legendary royal photographer Arthur Edwards. It has the standard type of reply on the back. I can’t believe the reply got to me 8 days after I mailed my card! Another lovely card to add to your collection.